The excitement in Austin Texas for this year’s South By Southwest music festival just got more intense with the announcement of the “Africa to The World” stage. Though the festival began since 1987, this is only the 4th year African artists are featuring on the global festival’s stage. 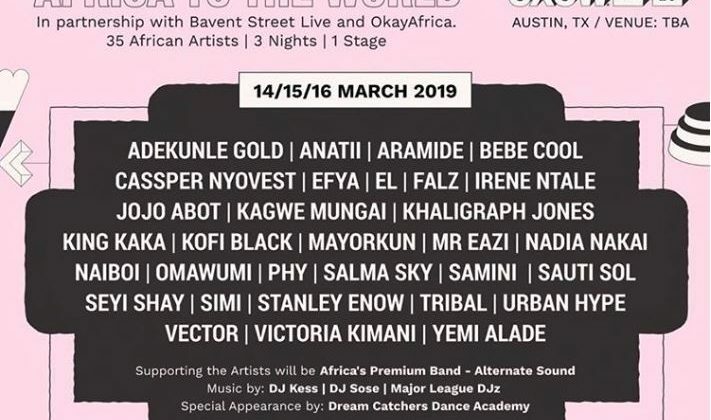 But as indicator of the upwards trajectory of African music in international music scenes, this year is the first time SXSW is offering a dedicated big stage with the debut of “Africa to The World”. 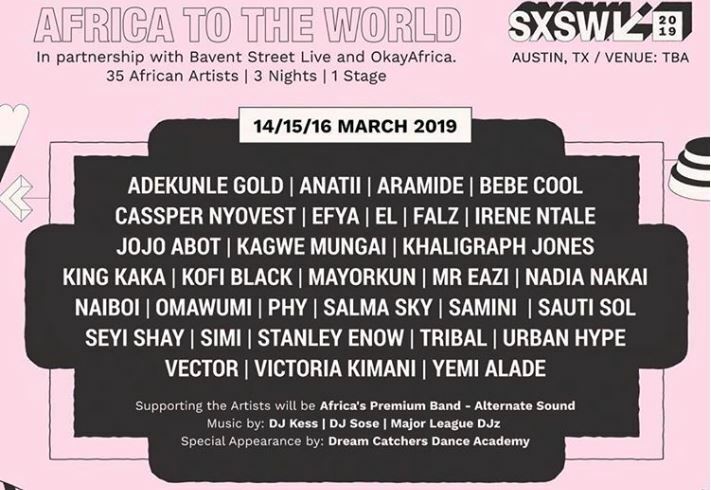 To ensure the best African acts are featured on the global stage, SXSW are collaborating with Nigerian-based entertainment company, Bavent Street Live, who have prepared a 35-act lineup for the 3-day long showcase. The stage is expected to feature a cross-section of artists with diverse range of genres in Africa, including the popular Afropop, Reggae, Kwaito, R&B and Hip-hop. “Africa To the World” is expected to run from the 14th to the 16th of March. You can check the full set-list below.